Camilo Mones is a PepsiCo worker, member of the shop-floor committee within the factory and leader of the Bordó opposition caucus of the Food Industry Workers’ Union (STIA). Buenos Aires, Argentina. 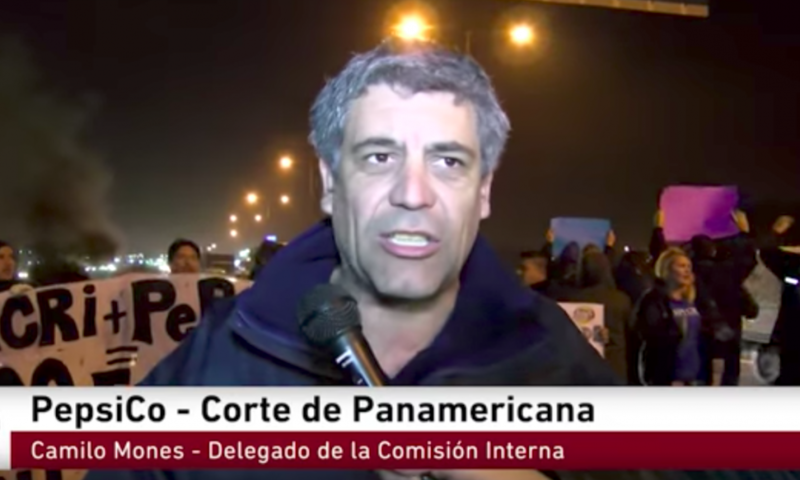 In the northern industrial zone of the capital of Argentina, the US multinational corporation PepsiCo shut down its food packaging plant abruptly, leaving 600 workers jobless. The workers voted in assembly and occupied the factory in a fierce battle against the layoff and relocation. Now, PepsiCo is threatening a violent eviction of the workers’ occupation. Camilo Mones is a member of the shop-floor committee within the factory and leader of the Bordó opposition caucus of the Food Industry Workers’ Union (STIA). 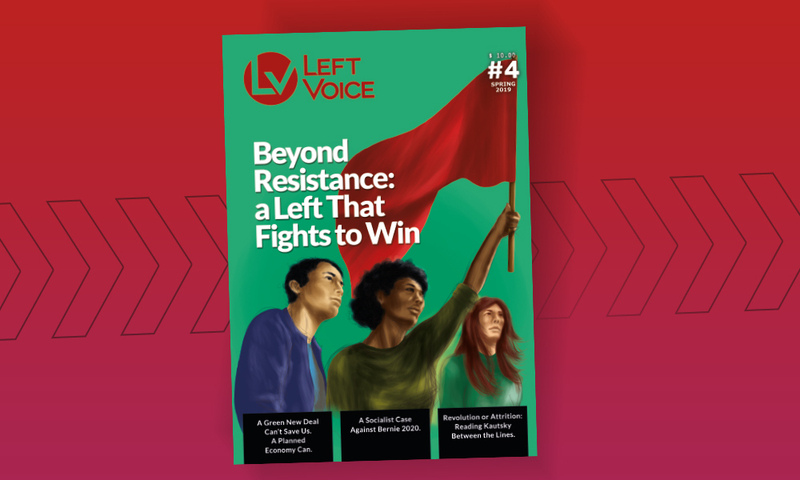 He spoke with Left Voice’s sister network, La Izquierda Diario, about the current struggle. Where is the conflict at? Since finding the notice of closure on June 20, many things have happened. We had been denouncing the fact that the company was moving machinery out of PepsiCo and discussing the possibilities of new attacks with comrades. And the company did decide to launch a very strong attack, attempting to leave 600 families on the streets. PepsiCo is not facing any crisis: it is a giant food company and in Argentina recorded profits of US$220 million on its last known balance sheet. 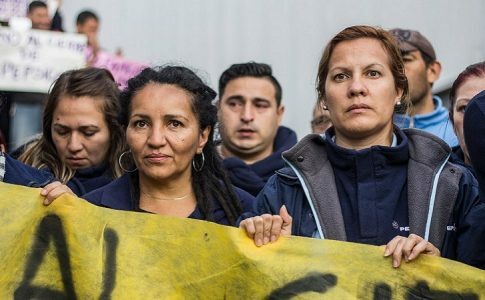 The objective is to attack the organization that workers have built up in the factory and increase their profits by shifting production to Mar del Plata [a city more than 400 kilometers south of Buenos Aires]. PepsiCo’s actions are completely illegal, and we have told the courts. On the other hand, workers have been meeting since that day to discuss what steps to take. We forced the union to call a delegates’ meeting. There, the delegates from PepsiCo spoke, as well as a number of other workers who have been at the forefront of this struggle. 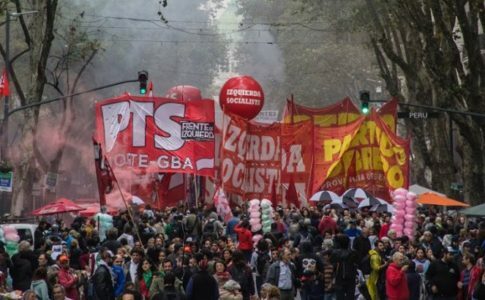 Against the arguments of [STIA secretary Rodolfo] Daer and his supporters that “nothing can be done”, we proposed that, if a plan of action is launched, if the union pushes for a general strike, we can defeat PepsiCo. They are making use of the government’s pro-business stance and the fact that the union bureaucracy lets them get away with it. But the bureaucracy revealed its level of treachery that day, rejecting a strike and then later signing an agreement with the Ministry of Labour that limited itself to asking for more compensation. In the following days we had discussions with comrades in the camp and on June 26 we held a very important assembly, where we decided to enter the factory to save our jobs. This was important for two reasons: first, because for the comrades this step gave them a lot of confidence, it convinced those that had doubts, it lifted morale. And second because of the repercussions it had. Within a very short time the main TV and radio stations were here, broadcasting our media conference. Everyone found out that, in the midst of a wave of sackings, there was a group of workers that were not going to sit back and take it. Do you view what is happening at PepsiCo as part of a more generalized situation? Totally. If you look at what has happened in these last few weeks, the bosses are extremely emboldened. In Atucha there were 500 sackings; in Hutchinson they closed down and left 380 on the streets, just a few streets away; 180 in Puma La Rioja; 170 in Lanxes Zarate, Walmart, and the same in graphic workshops, in the metal sector. What Daer has allowed to happen is a scandal. In our union, there have been 7500 sackings and the leaders want to sell this as what happens “when the left asks for too much”. PepsiCo is a test case. 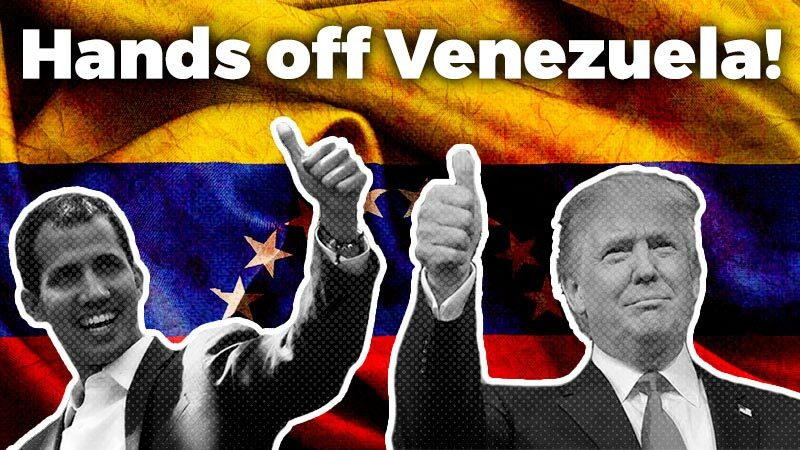 We are conscious that it will be a difficult fight, but we want to show our willingness to fight and send a message to the bosses and the government that there are people who will fight back against their attacks. It’s quite the opposite. In companies where Daer’s supporters run the union, the owners get away with whatever they want. 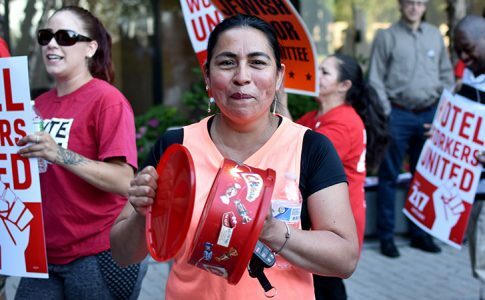 But where class struggle groupings exist, such as in PepsiCo or Mondelez Victoria, not only have we won rights for workers, but we have taken a stance against sackings. In the midst of this passivity of the union leaders, the government and business owners want to move forward with their anti-worker plans. 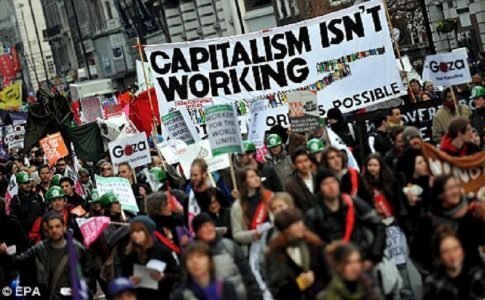 They know that if this new wave of mass sackings happens without resistance, they will be able to weaken the working class, because unemployment will rise and those that have a job will accept more precarious conditions. Well, we will fight, with our organisation and with the support we have already received from workers’ and political organisations. We are still here in the factory to protect our jobs; we hold assemblies here and many organisations and individuals have come here to visit us. But our plan is to use this place as a centre of organisation for struggle, to go out from here and hit the company where it hurts the most. Like we did on June 22 when we blockaded the warehouse where PepsiCo products leave from, something we will continue to do. We want to make our fight as public as possible, take strong action, visit other factories covered by the union and develop a strong campaign against the trademark and image of the company. That is why we are already enacting measures and initiating days of actions [the first of which was held on July 4]. We are going to promote joint actions with all those opposed to the closure and sackings in PepsiCo. We are already meeting with workers from other unions and factories. As a comrade from Kraft said at the rally we held after entering the factory: “If there is no bread for our children, there will be no peace for the bosses”. This plan has another important pillar: a strike fund. We all know that the bosses try to break strikes through hunger. Well, we have started going to different workplaces, universities, even other worker organisations. We have opened a bank account to receive contributions, and there are solidarity activities being planned. You mentioned that in regards to the PepsiCo trademark, you are pushing for a boycott campaign. Yes. PepsiCo is a company that cynically runs expensive campaigns about “social responsibility”, while it leaves 600 families out on the street. Many of my comrades have been working here for 20 years: they are mothers, they have been physically destroyed by the repetitive nature of the work, and the company talks of “empowering women”. So we want to expose the real image of the company. That is why we have begun the campaign “Don’t buy Lays or PepsiCo products”, which is supported by people such as [Nobel Peace Prize winner] Adolfo Perez Esquivel and Nora Cortinas, Mirta Baravalle and Elia Espen, who are from the Mothers of the Disappeared. We are willing to maintain the struggle for as long as necessary. Staying in the factory, surrounded by solidarity, but also going all out to reverse the brutal decision by PepsiCo, and the complicity of the government, to leave 600 families on the street.